The 2018 Mercedes Benz G-Class SUV has had a huge overhaul and update for 2018. Yes, it’s still boxy but with more rounded corners and way more glitzy style and modern technology. The new G-Class DRLs have a fine circular display at the front of the car which captures the attention of the onlookers. I’m sure they stand out even more because they totally contrast with the boxy SUV G-Class shape. The body is now longer and wider, so with the bigger dimensions comes more interior space (over 12 cm wider and 5 cm longer). Under the bonnet of the new G-Class G500 is a new 4.0-litre twin turbo V8, so you’ve got plenty of grunt to show off! There is a maximum of 610 Nm of torque available so as not to get stuck in the mud. Power at its peak is over 300 kW, so as you would imagine you’ll get along very smartly should you wish too. G500 models get a gorgeous set of standard 18-inch alloys with a five-twin-spoke design that looks awesome, while the radiator has a silver colour 3-louvre radiator trim. Metallic paintwork, LED High Performance headlamps, LED tail lights and turn indicators, and “V8” lettering on the side finish the exterior off very nicely, indeed. You won’t go unnoticed; trust me! 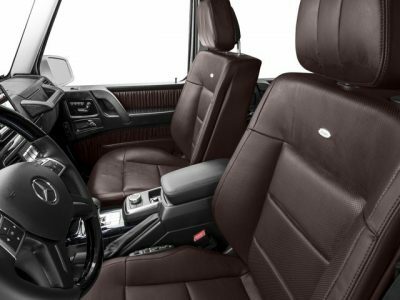 Inside a standard Mercedes Benz G-Class G500 is premium leather upholstery with an open-pore surface. Some of the interior features include: natural walnut wood trim, an aluminium trim strip on the dashboard, the upper section of dashboard is made in ARTICO man-made leather, there is a multifunction sports steering wheel with Touch Control buttons, ambient lighting schemes, a double cup holder in the front centre console, split-folding rear seat backrests, a folding rear armrest with a double cup holder, and the armrest has a through-loading feature to top it all off. For those who love huge power, then there is the AMG model that boasts the new AMG 4.0-litre V8 biturbo engine with an an output of 430 kW and a peak torque of 850 Nm. A newly developed AMG RIDE CONTROL suspension and the speed-sensitive sports steering keeps the performance in check; it is after all a colossal amount of power. The G-Class AMG G63 version scampers from 0-100 km/h in around 4.5 seconds! Some of the AMG features include AMG Ride Control which lets the driver adjust the suspension at the push of a button. A set of big 20-inch AMG 10-spoke light-alloy wheels painted in titanium grey make a huge style statement. The AMG front apron boasts black cooling air intakes, while an AMG-specific radiator trim looks pretty nice. AMG-specific trim on the front and rear aprons, flared wheel arches, two chrome-plated twin tailpipes, AMG brake callipers painted in red, LED High Performance headlamps, “V8 BITURBO” lettering on the side and upholstery in AMG nappa leather with gorgeous trimmings complete the quality G-Class package. Any new Mercedes Benz G-Class will offer formidable off-road capability. An exceptionally strong ladder frame made from sheet steel up to 3.4 mm thick keeps this big bruiser very tough for rugged use. Even the toughest of off-road conditions pose little problem to the new G-Class. The low-range gearbox adjusts the shift ranges of the 9G-TRONIC transmission, and the LOW RANGE button in the centre console increases the torque at the wheels. Front, middle and rear diffs are all lockable, while the frame is 55 percent stiffer and 170 kg lighter – thanks to the new steel and aluminium technology. A new COMAND Online system supports the driver with additional functions. Ambient lighting has 64 selectable lighting moods, and there is the optional Burmester Surround Sound System for optimum audio. There’s bound to be diesel options coming in 2019, so keep your eyes out if you need one of these beauties. There are loads of options for interior and exterior detailing, so take the world by storm and drive the new 2018 Mercedes Benz G-Class SUV. 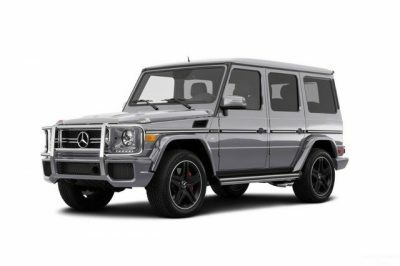 For any more information on the 2018 Mercedes Benz G-Class SUV or, for that matter, any other new car, contact one of our friendly consultants on 1300 303 181. If you’d like some fleet discount pricing (yes even for private buyers! ), we can submit vehicle quote requests out to our national network of Mercedes Benz dealers and come back with pricing within 24 hours. Private Fleet – car buying made easy!